A climber is a growth form based on long, flexible stems. This has two purposes. A climber may use rock exposures, other plants, or other supports for growth rather than investing energy in a lot of supportive tissue, enabling the plant to reach sunlight with a minimum investment of energy. This has been a highly-successful growth form for plants such as kudzu and Japanese honeysuckle, both of which are invasive exotics in parts of North America. Conversely, there are some tropical climbers that develop skototropism and grow away from the light, a type of negative phototropism. Certain plants always grow as climbers, while a few grow as climbers only part of the time. For instance, Honeysuckle can grow as a low shrub when support is not available, but will become a climber when support is available. The climbers growth form may also enable plants to colonize large areas quickly, even without climbing high. This is the case with periwinkle and ground ivy. Most climbers are flowering plants. These may be divided into woody climbers or lianas, such as wisteria, kiwifruit, and common ivy, and herbaceous (nonwoody) climbers, such as morning glory. A liana is a woody climber that starts at ground level, and uses trees to climb up the canopy where they will spread from tree to tree to get as much light as possible. Lianas are especially characteristic of tropical moist deciduous forests and rainforests. These climbers often form bridges between the forest canopy, connect the entire forest and provide arboreal animals with paths across the forest. There are also temperate lianas, however, for example the members of the genus Clematis. Well-known lianas include Monkey Ladder and Water Vine. Lianas are useful navigation tools for arboreal species such as lemurs. For example, in the eastern rainforests of Madagascar, many prosimians achieve higher mobility from the web of liana draped amongst the vertical tree species. Note that "liana" is not a taxonomic grouping, but rather a description of the way the plant grows, and lianas may be found in many different plant families. One odd group of climbing plants is the fern genus Lygodium, called climbing ferns. Here, the plant's stem does not climb, but rather the fronds (leaves) do. The fronds unroll from the tip, and theoretically never stop growing. In the meantime, they can form thickets as they unroll over other plants, rockfaces, and fences. Gardeners can use the tendency of climbing plants to grow quickly. 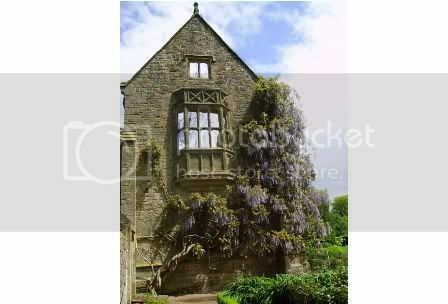 If a plant display is wanted fast growing a climber can achieve this. Climbers can be trained over Walls, Pergolas, Fences etc. 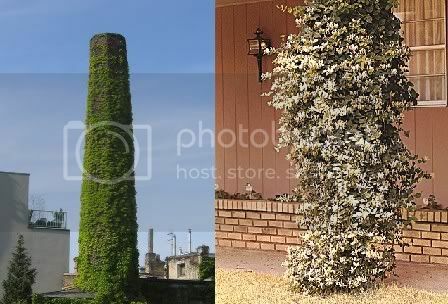 Climbers can be grown up other plants to provide additional attraction. Artificial support can also be provided. Some climbers climb by themselves, others need work tying them in and training them.